I usually use the sprinkler system or the hose end sprinkler for watering much of the garden. Today I was watering pots with the hose and wandered over to the fig tree to give it a good soak. 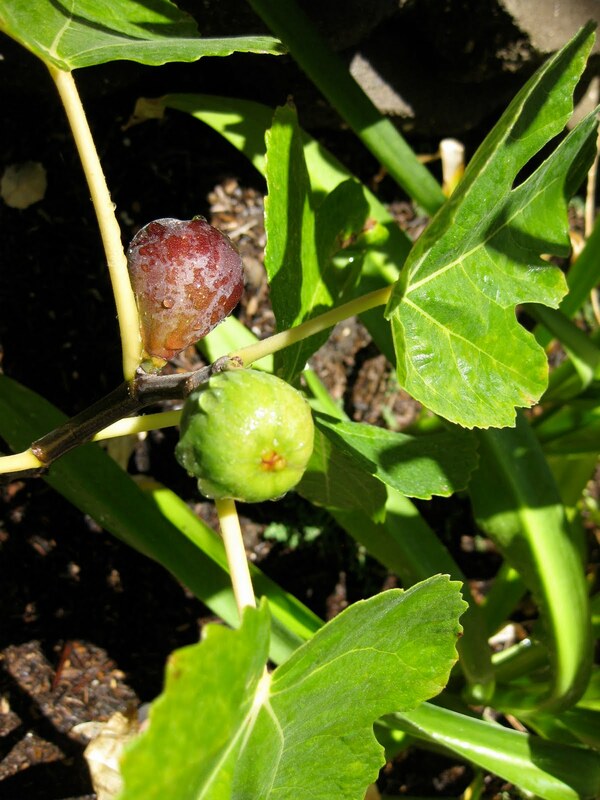 The figs have been plumping up and I've been keeping a watch on them. I had one fig last year when the tree was newly planted but this year the crop is MUCH larger. There are 12 figs of various sizes on my two foot tall tree and I don't really want to share them with the birds. I was rewarded for my vigilance by the sight of the first ripe fruit! 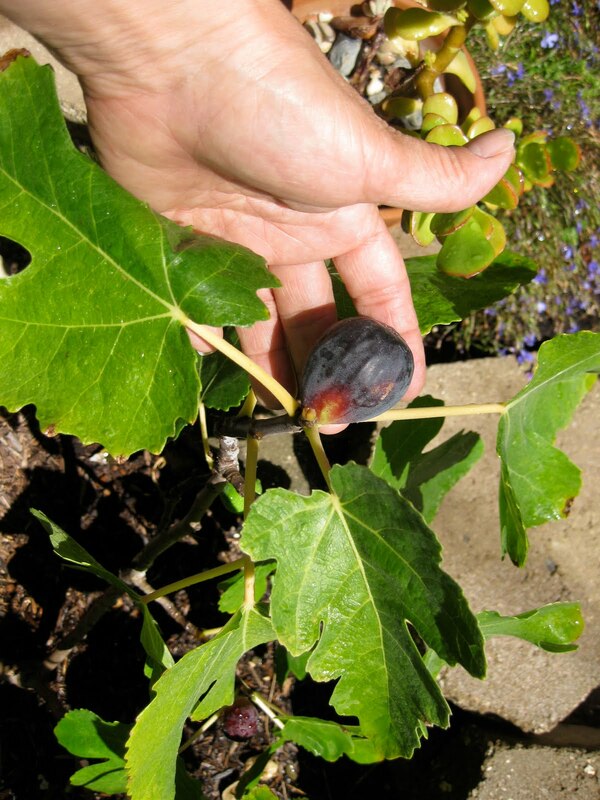 I contemplated a Fig Ceremony along the lines of the Plum Ceremony but decided instead to share with the other fig eater who lives here. That might change in future years when the crop is a bit bigger but for now it seemed a little selfish...and I didn't want him to see that here :) In any case there will be more...if not many...soon! How nice of you to share! I have a tiny bit of zone envy....would love to be able to grow figs! Talk about zone envy. Figs! How exciting.